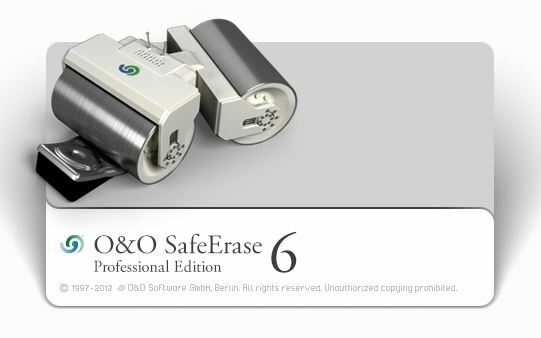 Using internationally recognized methods, O&O SafeErase deletes sensitive data so securely that a reconstruction, even with special software, is no longer possible. In the new version 6, an analysis function has been integrated which searches for data that was deleted non-securely. With just a few clicks, the computer can be cleaned to such an extent that unauthorized persons have no chance to dig out old files and misuse them. All files, settings, applications and operating system are deleted so that a recovery is impossible. It is possible to delete the entire computer including the system partition without boot media. After restarting the system the deletion process begins automatically. Should an SSD not support TRIM, the data is simply overwritten with zeros to avoid wear effects. The advanced report system and managing of lists for oft-used deletion procedures enhances the user-friendliness of O&O SafeErase further. O&O SafeErase lists per browser all the stored information – such as cookies, form data and Internet histories – which can be safely deleted either individually or combined. Once deleted, no one can trace the Internet activity, and online accounts are protected from unauthorized access. O&O SafeErase lists per browser all the stored information – such as cookies, form data and Internet histories – which can be safely deleted either individually or combined. Once deleted, no one can trace the Internet activity, and online accounts are protected from unauthorized access. All files, settings, applications and operating system are deleted so that a recovery is impossible. It is possible to delete the entire computer including the system partition without boot media. After restarting the system the deletion process begins automatically. Should an SSD not support TRIM, the data is simply overwritten with zeros to avoid wear effects. Writing over data with zeros means less sensitive data can be deleted at great speed. In addition, O&O SafeErase offers a further five methods of deletion, each one differing in the amount of procedures and the type of overwriting employed. Along with standard deletion procedures used by the U.S. Departments of Defense (DoD) and the German Bundesamts für Sicherheit in der Informationstechnik (BSI), the Gutmann Methods are also available, matching the highest security requirements and writing over data 35 times. Deletions are hugely speeded up here as the program takes advantage of the entire performance resources of the computer.